Skype 7 - Whats going to be new with it? Thread: Skype 7 - Whats going to be new with it? Still nothing huh? Seems like they are slowly releasing info on what the next version is going to be . The long wait might be worth it. 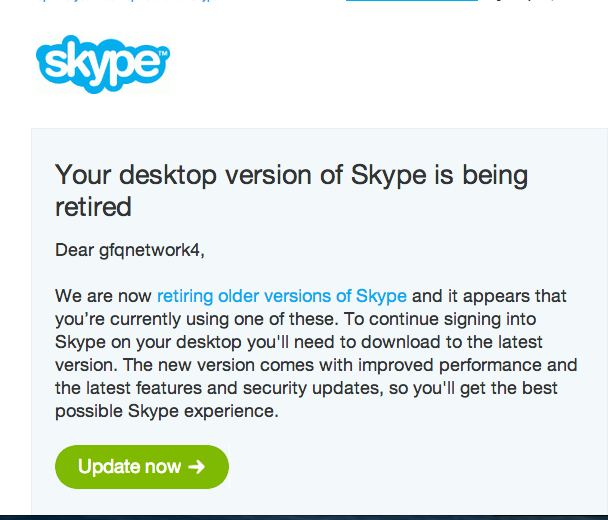 It seems like Skype is making way for its future software. It was announced early last week that they will be killing off all older versions of its service. Anything below 6.13 will stop working. Just a heads up V.5.10 on Windows has now been disabled.